Premium helmets can be owned by anyone if they’re willing to part ways with the big money. It’s true! You have to pay a premium if you want to get a quality helmet. We certainly hope you think YOUR life is worth it. 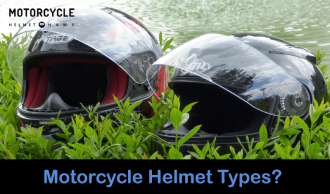 The first consideration in the search for a helmet is determined by the type of riding that you do. Whether your buy a cheapie or go for a premium, the choice is vast. On the low end you have Thermoplastic helmets. They’re pretty good for casual riders (..or if you don’t travel for long distances). Since they’re often bigger and heavier, we don’t recommend them for everyday use. 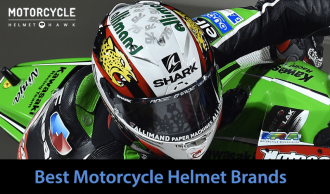 We prefer to promote Fiberglass and Advanced Fiberglass helmets. At least from a safety aspect. All things being equal, you’ll fare better if you do come off. Do yourself a favor and spend that little extra and buy a Premium Fiberglass helmet. A Composite helmet made from Kevlar or carbon fiber can be overkill for the everyday rider. Because they’re designed to withstand extreme conditions, there shells are very durable. We’ve recommended them for professionals. 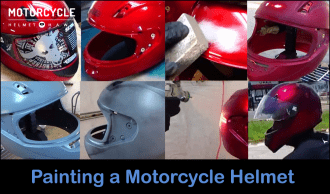 Below are some tips to guide you through the process of buying a premium fiberglass helmet. 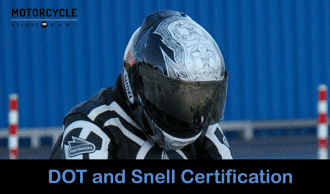 Certified helmet: Go for helmets that has been certified by DOT and Snell or ECE, and buy from an established dealer. Beware of outlets that put fake certification stickers on their helmets to lure unsuspecting customers. A genuine sticker should have a registration number. A helmet that has been tested by the relevant agencies will certainly leave your head (..and your wallet) unharmed. Certification ensures the inner and the shell are thoroughly tested to do what should – absorb the force of any impact when you crash. ½, ¾ or Full face helmet: Helmets come in different style and sizes. The advantage of wearing a ½ or ¾ helmet is that you can easily communicate with other people. And perhaps that’s why they are adored by police because they allow them to communicate using radio. The downside is that you’re likely to get injuries on the face in case of a crash. Full face helmets are much better because they cover the entire face from wind and debris. Fit perfectly: You should settle for a helmet that fits on your head without leaving space. 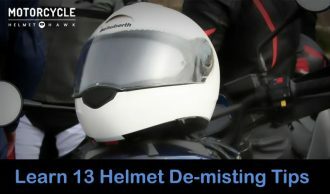 This ensures that your head moves together with the helmet to protect you from injuries that arise from twisting. In fact, your head should be touching the interior of the helmet because there is a shell to divert the force of impact. Just remember that a genuine helmet should serve you for five consecutive years. 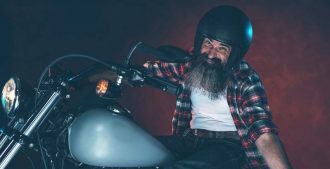 Never buy used helmet: With these tough economic times, you might be tempted to buy a second hand helmet because it’s cheaper than a new one. 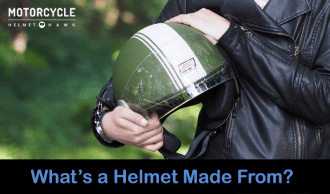 A helmet should not be used again once it has been involved in an accident. This is because the inner shell may not survive from multiple punishments. 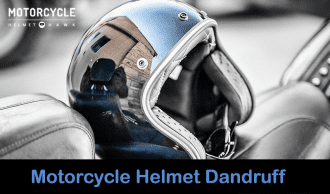 Though a second hand helmet may look intact at a glance, there is no guarantee that the inner lining is still in good shape. If you have a used helmet at home, you can use it to get a brand new at a slashed price. 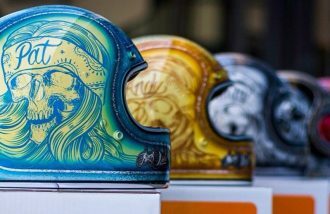 This is because the dealers that have such offers take the damaged helmets to the manufacturers. High quality face shield: You should choose a helmet that offers uninterrupted vision even in extreme conditions. It’s therefore advisable to try a helmet before you pay for it. Nowadays, most helmets come with pinlock feature that gives you a clear sight because it’s resistant to fog. There are others that include a sun shield that protects you from the sun. 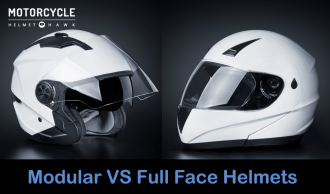 A helmet that has these features is very convenient because you don’t have to switch between different face shields. Compatibility with accessories: If you like listening to music while travelling, you should go for a helmet that has enough space for installing speakers and Bluetooth. 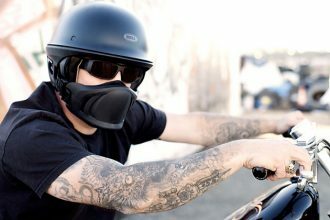 Such a helmet will enable you to talk with other riders while on the go. A device that uses Bluetooth is usually attached to the outer cover of the helmet.